New gacha release for The Chapter Four. Opens the 4th. Relations can be sometimes complicated… that is the subject behind Chained to You. 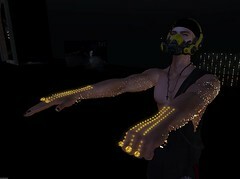 Posted in architecture & landscape, art, Coming soon to Main Store & Market, decos & furniture, E.V.E Studio, Gacha, Illumination Lighting, Mod and Copy items for builders and artists, News, Second LifeTagged art piece, chains, dragon, dystopia, Dystopia Ed., E.V.E's Gachas, E.V.E's poses and animations, Evie, fantastic garden, ice, lights, Love is a Battlefiel, mod and transfer, smokeBookmark the permalink.